European countries have pushed back on a US demand to repatriate citizens who went to Syria to join Islamic State (Isil), deepening a split between Washington and its allies on the issue. More than 800 European citizens are being detained in Syria on suspicion of fighting for Isil – many of them captured in the past two months during the battle for the last of the terror group’s territory. 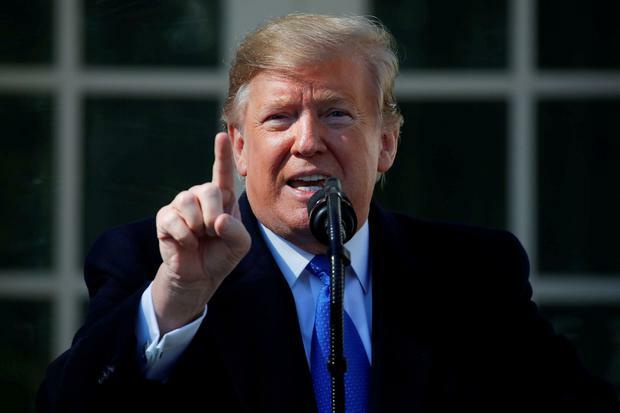 US President Donald Trump urged European governments to “step up and do the job that they are so capable of doing” by taking the suspects back. “The United States is asking Britain, France, Germany and other European allies to take back over 800 Isil fighters that we captured in Syria and put them on trial. The Caliphate is ready to fall. The alternative is not a good one in that we will be forced to release them,” he wrote on Twitter. But the UK, France and Germany have been reluctant to bring home Isil suspects, fearing they would pose a security threat upon their return. Germany’s Interior Ministry said that German citizens had the right to return “in principle”, but suggested that would only happen with consular access, which was not in place in Syria at the moment. France and the UK also appear to be in no rush to bring them home. But the planned withdrawal of some 2,000 US troops from Syria has made the issue more urgent. The Syrian Democratic Forces is holding the suspects, but said it does not have the capability to continue holding them all indefinitely. When US forces go, its resources will be stretched even further. Abdulkarim Omar, co-chair of foreign relations in the Kurdish-led region, said the detainees were a “time-bomb”, and that they could escape in the event of an attack that may follow the US withdrawal. That prospect was addressed by France’s justice minister. Both France and Germany have suggested that Isil suspects be tried in Syria or Iraq, but the mechanisms for doing so do not currently exist. The fate of British Isil suspects in Syria has been thrown into the spotlight following the discovery that Shamima Begum, who left the UK to join Isis four years ago, was among those detained in the country. The UK Home Secretary Sajid Javid has previously said he would move to block any British citizen suspected of joining Isis from returning.